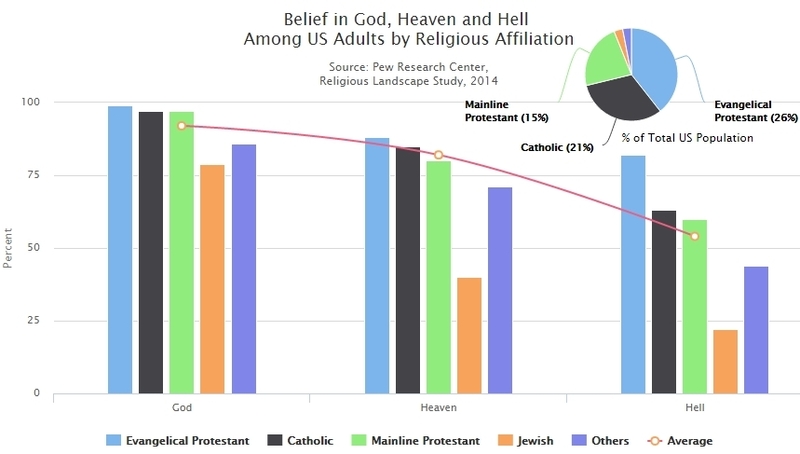 Among persons affiliated with a religion, a belief in Hell is lowest among Jews, with a figure of 22% (Just 40% of Jewish persons surveyed believe in Heaven). The equivalent figures for Catholics are 63% (85%) and Mainline Protestants 60% (80%). » Click column header to sort. Data is taken from the Pew Forum Religious Landscape Study, 2014.